ghosts break up their graves. Arthur Kipps first sees the woman in black at the funeral of Mrs. Alice Drablow. He sees her again when he visits Eel Marsh House. Her face is pale as bone and wasted, but her unnaturally bright gaze is full of bitter malevolence and hatred. "Who she was--or what--I did not ask myself. I tried not to think about the matter at all but, with the very last of the energy that I could already feel draining out of me, I turned and began to run, to flee from the graveyard and the ruins and to put the woman at as great a distance behind as I possibly could. I concentrated everything upon my running, hearing only the thud of my own body on the grass, the escape of my own breath. And I did not look back." Unfortunately, Arthur's job is not yet done and he must return to Eel Marsh House. As he sorts through Alice Drablow's papers he begins to uncover the haunting secrets of the past and of the ghostly woman in black. This novel has the feel of an old-fashioned ghost story, which I quite liked. (In fact, I liked it better than the movie!) It's a beautifully written, haunting tale. Arthur Kipps is earnestly likeable; and I loved the little dog, Spider, who keeps him company at Eel Marsh House. 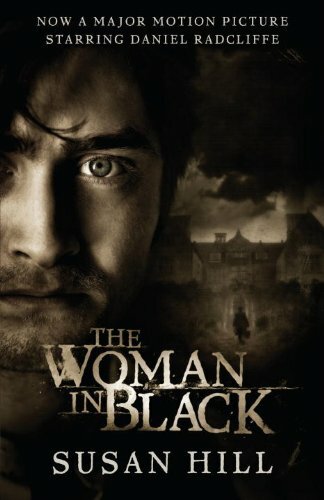 The woman in black herself is one of the more quietly terrifying ghosts ever written. This is a good Halloween read! 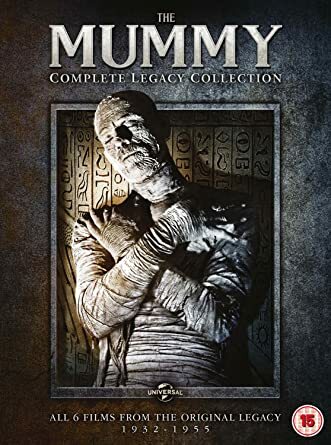 What's your favorite monster movie classic? 2. The Strange Case of Dr. Jekyll and Mr. Hyde by Robert Louis Stevenson - I have always been fascinated by this story and it's compelling study of good and evil. The mistake Dr. Jekyll arrogantly makes, and his later bitter regret, is what makes this story so memorable, and relevant. I have to admit, I've liked every version of this story I've seen or read--from Bugs Bunny to Broadway. 3. The Phantom of the Opera by Gaston Leroux - Andrew Lloyd Webber's version of this story is so well-known most people don't bother with the book, which is a real shame. Leroux's novel has a lot to offer. And his characters are real and appealing. I was surprised by how much I liked it. 4. Jewel of the Seven Stars by Bram Stoker - There are no vampires in this book, just Stoker's take on mummies. 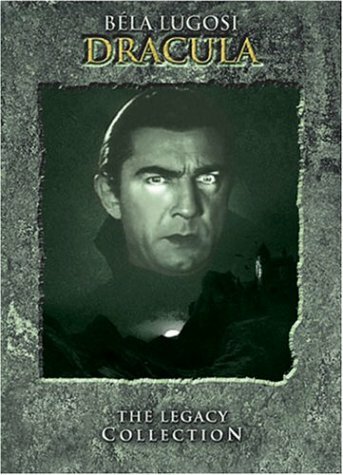 And while it's not as good as Dracula, it's still worth checking out. After I read this book, I found myself wishing that Stoker had been a much more prolific writer of novels. 5. 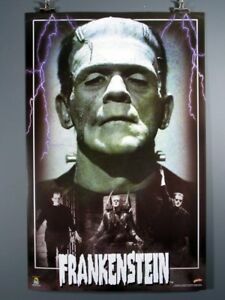 Frankenstein by Mary Shelley - I confess, when I read this book I always have more sympathy for Frankenstein's monster than for Victor Frankenstein himself. In fact, I usually find myself hoping that the monster finds a home someday, somewhere he doesn't have to be so alone. This is such a sad story--but definitely a classic. "Fancy a night in a haunted house?" Samantha Jephcott works with paranormal investigator, Massene Henderson. "Over the last year the two of them had fought vampires, ghouls, zombie Vikings, and prevented the destruction of the planet at least twice." This time they've been hired by Sir Anthony Calverton to investigate Dark Manor, a house that was built on the site of an ancient stone circle, constructed from the bricks of an insane asylum, and filled with macabre relics of past murders. A house that can't help but be haunted. They're joined by Dr. Helen Pritchard, a medical doctor, and her husband, Professor Alan Pritchard, a physicist, along with Calverton's granddaughter, Maddy, who claims to be a medium, and Jeremy Stokes, a television psychic. With this cast of characters, it doesn't take long for the spirits in this house to appear. Or for people to start to die. I like ghost stories, especially ones set in a creepy haunted house, and this book has all the essential elements, but unfortunately it falls a little short. The ending got a bit too fantastical for me. (Although I have to give John Llewellyn Probert points for originality!) There were a few typos here and there, and a few other things that didn't quite add up. Despite its flaws, I still liked this book. Especially Samantha's and Henderson's humorous relationship. (In fact, I think the Syfy Channel should do a series around them and their paranormal adventures.) Sadly, I didn't find this particular book all that scary. Maybe the next haunted house will be better. "What if I took all the imagination and creativity that I poured into my screenplays and invested it in my own life?" This is not a book about rockets (even though the author once worked for NASA). It's a book about asking yourself, "What if?" and following your dreams no matter how impractical they seem. It's a book about Scotland, and a very cool second-hand bookshop--reasons enough for me to read this book as I love both books and Scotland! It's part travel memoir, part adventure, and part romance. And it made me wish I could trade places with Jessica A. Fox. "...the Holy Grail is not the treasure but the dream, like the carrot before the horse. It's the impulse that gets you off the couch and propels your journey. The problem arises when you don't allow your dream to change." Jessica is a 26-year-old film-maker living and working in Los Angeles when she has a dream that propels her to take an impulsive trip to Wigtown, Scotland's National Book Town. There she meets Euan, the owner of The Bookshop. Wigtown feels surprisingly like home to her and Jessica soon finds herself falling in love with it...and with Euan. "All the best parts of this adventure, after all--Euan, Eve, Deirdre, Edinburgh and all that I adored about Wigtown--had been outside the possibilities of my imagination." I really enjoyed reading about this Scottish book town. Scotland is such an amazing place...I'd love to go back someday and make my own pilgrimage to Wigtown. 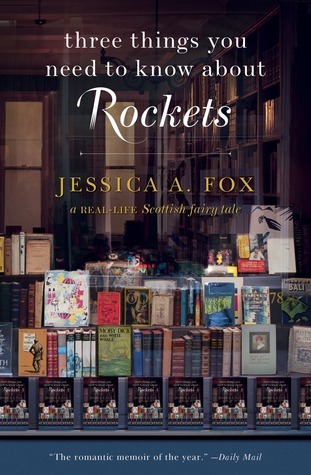 If you're into travel, bookshops, and following your dreams, definitely read Three Things You Need to Know About Rockets by Jessica A. Fox. each one symbolizing who I was when I read it, shaping who I have become. but I know I am more found than lost." "For us, there was no such thing as fate. Fate was a word you used when you had not prepared, when you were slack, when you stopped paying attention. Fate was a weak man's crutch." Sarah and Jennifer created the Never List to protect themselves from any and every accident or mishap, sure that if they adhered to the rules of their list they would be safe. And for years it worked. Until they went away to college. Then one night, coming home from a party, they're taken by a man named Jack Derber, who locks them away in his cellar, captives with two other girls, for the next three years. Sarah survives, but she's not the same girl she once was. "We'd been naive. We hadn't believed other minds could be as calculating as ours. We hadn't counted on actual evil as our enemy rather than blind statistical possibility." Thirteen years later, Jack Derber is up for parole. He's been taunting Sarah from prison with strange letters and clues. And Sarah knows she's finally going to have to face up to the nightmares of her past so she can find out what happened to Jennifer and keep Jack in prison for the rest of his life. I could not put this book down; it's that good! I'd tell myself I was only going to read one more chapter, but one chapter would turn into two, then three, then four... Sarah's story is so compelling, and Zan's writing so amazing, I was completely drawn in. Sarah's search for the truth takes her back into the darkness of her past. (And it is a very dark place.) This is an intense thriller, but not overly graphic or explicit, for which I was grateful. 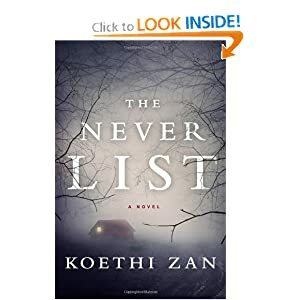 If you want an exciting mystery that will keep you up at night, definitely give The Never List by Koethi Zan a try. It's the perfect October read! 11. Booklists are some of my favorite things--lists of books I want to read, books I want to buy, favorite authors, etc. 12. At lunchtime, I don't read while I eat; I eat while I read. After all, it's not the food that's important--it's the book! 13. As much as I love imaginary men (like Mr. Darcy, Adam Hauptman, Sebastian St. Cyr, etc. ), I still like real men best. 14. I've always wanted to be a writer. 15. You know Hay-on-Wye, that town in Wales full of bookstores? I really want to go there someday. 17. I think Ernest Hemingway is overrated. 19. "Happily ever after" will always be the best way to end a story. 20. There are no better words in my opinion than "Once upon a time..."